As I reflect on the technology that is getting implemented into schools these days, I am starting to fear that students and educators are becoming too dependent on "Apps" and technology for learning. Even as a technology advocate, I am a firm believer that Its Not About the Technology, rather, its about the pedagogy coupled with the technology. I recently purchased 6 ipod touches (with school funding) for my students to use in the classroom and I have noticed that I have been stressed about getting the best "apps" for education. I have been doing tons of research and testing individual apps to assess their value. I even attended an Apple Conference a few weeks ago about how to use effective Apps in the classroom. What I realized was that too much attention is focused on the "apps" themselves, and too little attention is focused on professional development for project-based learning, and how to use "apps" as an option for projects. In this uncertain world, where technology is constantly evolving, we should remember that the number one app that we must be able to successfully operate is our brain. We must be able to use our brain in order to ask questions, collect information, discover answers, and create solutions to prepare for the difficult challenges that life throws at us. All I ever hear when someone has a problem is, "there's an app for that". Well guess what, we as teachers need to prepare our students for the 21st Century Workplace, and there's no app for that. It's so easy to get wrapped up in this 21st century technology craze, but its important for teachers to remind students that technology is not always the answer to everything. Therefore, I have created the one "app" that solves all of our problems. 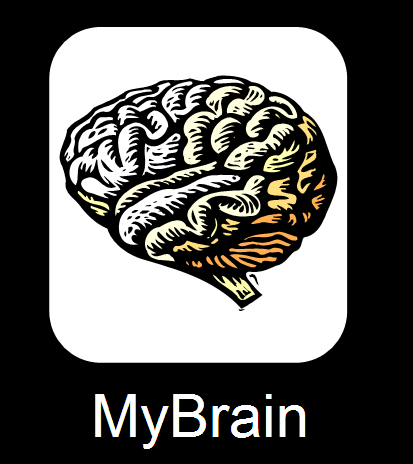 Its called MyBrain and its currently the most underrated app off the market. 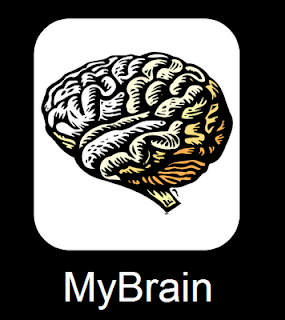 MyBrain will never run out of "storage"
It seems as if the pros outweigh the cons and I give MyBrain a personal rating of 5 stars. Aside from MyBrain, I would like to challenge my students and colleagues to practice (what I call) "Appstinance" for one week. I define "appstinence" as the act or practice of refraining from indulging an appetite or desire for mobile applications or "apps" on smart devices. The challenge would be for students and teachers to go without using "apps" for a whole week. Students and teachers would have to rely on their brains for one week without the assistance of technology devices. Are you up for the challenge? I couldn't agree with you more. The 'craze' about the way the iPad will revolutionize education is also sweeping over the Netherlands. Still little pedagogical sense or proof behind it, though. First 'Steve Jobs'-primary schools to start next year in Amsterdam, for example. Thanks for your comment! I have never heard of a "Steve Jobs" school before. Do you happen to have any more information on that school that you could share?